With the sale of its 48% holding last week in Flybe by Rosedale Aviation (see BTN 11 November) another historical landmark has been reached by the Exeter-based airline. Qantas has unveiled a brand new 737-800 aircraft featuring an indigenous art livery as a flying tribute to the world’s oldest continuing culture. Aer Lingus has launched a new on-board menu on short haul flights which includes a range collaborated with chef and restaurateur Clodagh McKenna. 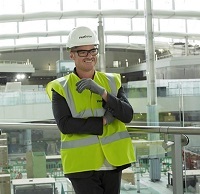 Heathrow’s completely new Terminal 2, opening next June, continues to attract leading businesses, the latest being the multi-award winning chef Heston Blumenthal. 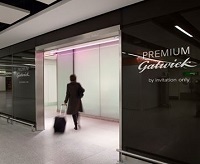 No.1 Traveller has confirmed that the complimentary premium security lane access at Gatwick and Birmingham airports is to stay. This is available for all passengers who book via the website including the airport lounge, spa treatment, airport parking and chauffeur-drive airport transfer. 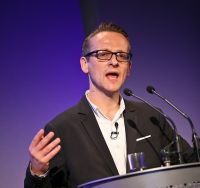 Travel Trade Gazette has been purchased by its current Editor Daniel Pearce from the UBM Plc publishing conglomerate. TTG, as it is widely known, was launched in 1953 by Leslie Stone and Ted Kirkham and is the world's oldest travel trade newspaper. Business Travel News likes to think it is fair and is only too pleased to acknowledge (reasonable) views that it does not agree with. 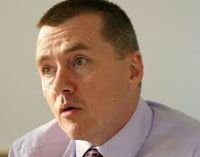 We publish here a response to our editorial last week "Davis – is it taking too long?” outlining the Mayor’s argument in favour of a new estuary airport. Sadly it misses the real point. The South East and the UK in general cannot wait until late 2015 for a decision on a new runway. The fact that the Mayor’s arguments are wrong is irrelevant. What it does prove is that Business Travel News is read and respected in all the right places. Etihad Chairman and CEO James Hogan was the star of yesterday’s (17 November) opening of the Dubai Air Show Alison Chambers reports. Mr Hogan hosted three press conferences in quick succession including the intriguing announcement that Etihad is to acquire a 33% shareholding in Swiss carrier Darwin Airways, creating Etihad Regional. Classic Air Force (CAF) in Cornwall (as recently featured twice on BBC TV) is in the market for a large redundant transport aircraft, and will collect. 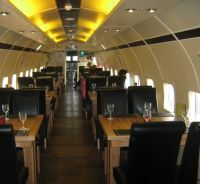 With the move from Coventry to Newquay (see BTN 17 September 2012) the ‘living museum’ lost its popular DC6 Diner which still continues to flourish at Coventry Airport. The plan was to turn Classic’s recently acquired ex-RAF VC10 (see BTN 26 August 2013) into an eating place but it seems that this is not as easy as first thought. Certain modifications carried out by the military are proving a headache when it comes to conversion. A nice, interesting pure civil airliner would be far easier. The proposed reverse takeover of American Airlines by US Airways could be finalised by the end of the year following approval by US regulators. The merger would create the world's largest airline. The new American would continue as a member of oneworld and maintain its commercial tie-up with British Airways. Business Travel News is able to confirm stand B1085 for the 2014 Business Travel Show at Earls Court 2 on 4-5 February 2014. Widely regarded and well respected as Europe's leading conference and exhibition for the corporate travel market, the event celebrates its 20th anniversary next year and promises to offer the business travel industry even more sourcing, learning and networking opportunities. BTN is on the right hand side as you enter. 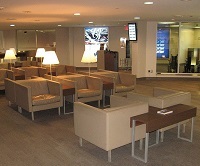 Virgin Atlantic passengers in the award winning Clubhouse at Heathrow’s Terminal 3 will be joined by partner Delta Air Lines customers from the start of the summer season. On Friday (15 November) IAG shares finished at 362.5p on the London Stock Market, that is 20p down on the week, but twice that of 12 months ago. The Steigenberger Parkhotel in Düsseldorf on the Königsallee has reopened. Since 2011 more than €10m have been invested in the reconstruction and conversion of the lobby, terrace, winter garden, restaurants, rooms and suites. BTN contributor Michael Asher has been a resident of Istanbul for more or less the last 10 years but has also worked in Canada, China, Germany, Gambia, Japan, Kazakhstan, Kenya and Mexico to name but a few. He has 45 years experience with passenger and cargo airlines and air brokerage organizations in management positions globally. 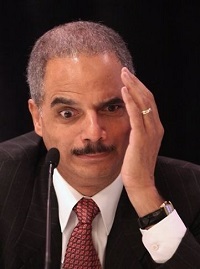 He claims he can do anything in an airline except fly or repair an actual aircraft. The Royal Netherlands Air Force is investigating how a Lockheed Martin F-16AM pilot accidentally strafed the control tower at the nation’s Vliehors range on 4 November. More and more getting away from its previous image Air Berlin is developing as a serious top quality two-class airline (as our image shows). It is part of oneworld and also 29.1% owned by Etihad of Abu Dhabi. For next summer it is offering a record number of flights from Germany to the US all with two-class A330s. In many cases they link up with either Air Berlin’s own services or code shares with Etihad to the Gulf (and onwards) and also with German airline’s extensive European services. Air Berlin is Germany’s second largest airline and carried 33m passengers in 2012. It has a strong marketing presence in the United States. The flight details for Summer 2014 are thus. Subsequent to a series of collaborative tests following the Eyjafjallajokul crisis in April and May 2010, easyJet, Airbus and Nicarnica Aviation have successfully created the first ever significant artificial ash cloud for experimental test purposes. Beijing is back on the Gatwick route map for next summer. Initially introduced as four times per week in May 2012 it has not operated this winter but returns 30 March. For the third year running easyJet is to run a European graduate recruitment Programme. Last time round 17 applicants were taken on, a figure that could be repeated. 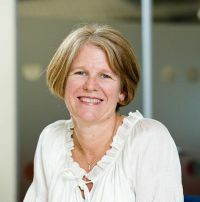 The airline’s two-year training scheme which will see the successful candidates spending time gaining invaluable, hands-on experience in key easyJet departments across the business which include Operations, Finance, Engineering, IT, Network, Revenue & Sales, Marketing and HR, with a permanent job at the airline once the programme has been completed. 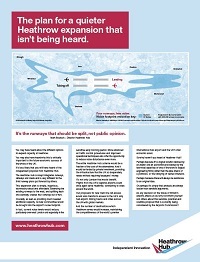 Readers of national titles interested in travel, and also the environment, were surprised to see an advert promoting what it termed “The plan for a quieter Heathrow expansion that isn’t being heard”. Whilst Toronto Island Airport (officially Billy Bishop Toronto City Airport) dates back to the 1930s it was not until the arrival of Porter Airlines in 2006 that it really took off. It now vies with London City (and George Best Belfast City) as one of the world’s most successful specialist city airports. Like London City it owes its success to the introduction of the de Havilland Canada (now Bombardier) series of regional turboprops, locally built in Toronto.